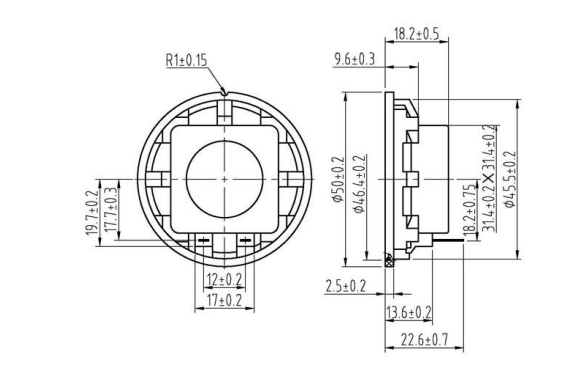 FBS50-29E is 0.5W.1W Speaker with Mylar, square shape, rubber sealing gasket, solder tag terminal, 450Hz to 5kHz frequency range. This speaker features water-resistant transparent Mylar cone making them ideal for portable or exterior equipment where moisture ingress is a problem. Polyester suspension giving a high degree of water resistance. Suitable for speech synthesis and alarm panels. Looking for ideal 50mm Mylar Speaker Manufacturer & supplier ? We have a wide selection at great prices to help you get creative. All the 0.5W 1W Mylar Speaker are quality guaranteed. 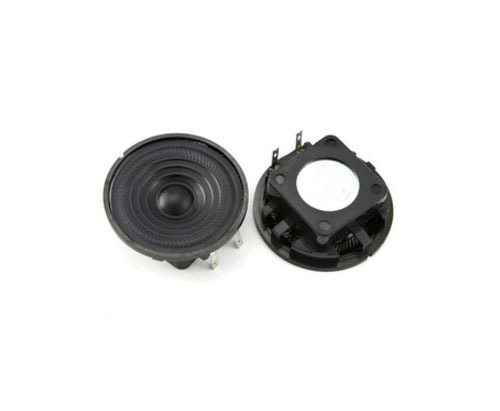 We are China Origin Factory of 8ohm 86dB Mylar Speaker. If you have any question, please feel free to contact us.